With Halloween only a few weeks away, we are already dreaming about the holiday season. It is my favorite season of the year! Parties to throw, cards to write, and a million reasons to use a new font. Here is a collection of 25 of my favorite downloadable fonts to use for parties, invitations, Christmas cards, and more. I have already lined up a few projects using the Edwardian Script (so pretty!) to share with you soon. 1. Sail, by Latinotype. 2. Pablo Skinny, by Paul Wilde L’Heureux. 3. Bookeyed Nelson, by Tart Workshop. 4. CAC Champagne, by American Greetings. 5. Century Schoolbook, by Morris Fuller Benton. 6. Nevis, by Ten by Twenty. 7. Rockwell, by Monotype. 8. Parisienne, by Astigmatic One Eye. 9. Pacifico, by Vernon Adams. 10. Ostrich Sans, by Tyler Finck. 11. Bell MT, by Richard Austin. 12. Lobster Two, by Pablo Impallari. 13. Edwardian Script ITC, by Edward Benguiat. 14. Dalle, by Neal Fletcher. 15. Georgia, by Matthew Carter + Tom Rickner. 16. Fertigo Pro, by Exljbris. 17. Kitchener, by Caffeen. 18. Windsong, by Bright Ideas. 19. Alana Pro, by Laura Worthington. 20. Bernhard Fashion, by Lucian Bernhard. 21. Learning Curve, by Blue Vinyl Fonts. 22. Baskerville Old Face, by Stephenson Blake. 23. Century Gothic, by Monotype. 24. Brannboll, by Måns Grebäck. 25. MS Gothic, by Ricoh Company. 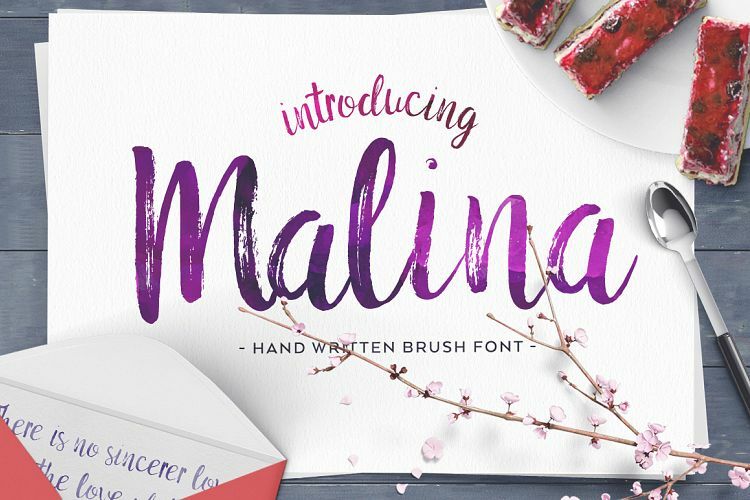 And I’m obsessing a bit today over my favorite new party font, Malina! It hits that perfect festive, but just subtle enough touch. I can just see it adorning all my party invitations this coming year. Graphic done in collaboration with Alli Michelle. PS. A roundup of favorite romantic fonts and incase you prefer characters a festive emoji cheat sheet. I’m such a sucker for fonts that look great on an invitation! Lobster Two + Brooklyn Nelson are my two favorites from this great list! Brit, that Jenna Sue such a great font! Just checked it out and it will for sure be on my next list:) Thanks. I love discovering pretty new fonts! So many pretty fonts! I wish I could justify buying all of the fonts that cost money!! Thanks for sharing! Lovely collection! Thank you so much! Saving these, Thanks for sharing, Victoria!! Such a great helpful post. I love the free fonts you propose :) Thank you for sharing! Thanks! Just curious… what font did you use under each example to write the font names? Hey Breeanna! it’s Arial bold. ah, Victoria, thank you, thank you! I’ve been searching for specific fonts I’ve seen on other blogs/sites. I instantly recognized Bookeyed Nelson and Century Gothic. Yay! Thank you so much for these – they are great (and this is such a time-saver). Jodi, Hi! You usually need to move the file into your font library and then restart whatever program you are working on. If you are still having problems google – how to load fonts to a (whatever your computer is). Hope that helps! Thank you so much, I downloaded them all ! They are perfect ! Thank you for sharing those! They are really lovely for parties and cards!! Question, not all of these are free? Some are, but not all. I really wanted to download Brookeyed Nelson but it says you have to buy it for $29? Am I doing something wrong? Natasha Hi! All are free except two of the fonts- Bookeyed Nelson & Alana Pro have a small cost to them. Hope that helps. Thanks. 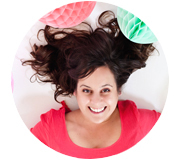 Love this round up Victoria. Thanks for sharing it! these are awesome recommendations Victoria! Thanks for sharing. Windsong is definitely one font i use all the time! Love it! Once I download the font, how do I use it? I know where it is on my computer but I can’t figure out how to use it. It is not in my font list. The file downloaded to a download folder. How do I get it to my font list so it is usable? I use ostrich in my blog posts! and thanks for this great roundup. Pingback: Party Fonts | Beloved & Co.
I’m always looking for new fonts to use for blog graphics – these will be put to good use. Thanks for sharing! Thanks so much for sharing these! I really like several of them and downloaded them for my collection. I am a sucker for beautiful fonts especially for writing letters and making cards for mailing. When will these be available for downloading. Why are half of them trying to charge me? Am I doing something wrong? Oh myyyy! I’m so in love with each and every font. I look forward to putting them all to great use. These are gorgeous, but of course after you put them on your free list all the ones on My Fonts started charging. Hate when they do that! Can I download these into LR3? Thanks for including Pablo Skinny on the list! I created it during grad school, and am always pleasantly surprised to see it pop up from time to time. Is there a special way to download the fonts when the site: MyFonts is used? It appears that you always have to pay for the fonts from this site. I clicked on the link for Bookeyed Nelson and I only see the option for purchasing. If someone would just respond and let me know that I am not missing some hidden button for free and that you do have to pay, I would be really appreciative. Great collection of fonts. Thanks for sharing! Love these fonts! Thank you so much for sharing. Thank you for this, Victoria! Georgia is my alltime favorite, but it gets a little bit old with the time. i found also some really beautifull fonts at http://www.100bestweddingfonts.com/ . you may have a look on it! This is a great list of fonts to use!